He recorded his first album at the age of eight, and participated in hundreds of albums with artists from various countries. Oswaldo de Almeida e Silva, known as Oswaldinho do Acordeon, (Duque de Caxias, June 5, 1954) is a Brazilian musician. Son of Pedro de Almeida e Silva (Pedro Sertanejo the pioneer of forrós in São Paulo) and Noêmia Lima e Silva. Accordionist of great genius and versatility, recognized internationally. He recorded his first album at the age of eight and participated in hundreds of albums with artists from several countries. His great success was the fusion of Beethoven’s 5th symphony with Northeastern rhythms, and currently Asa Branca in Blues. 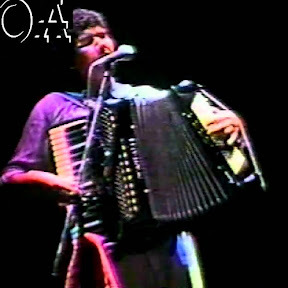 It was the first accordion of eight basses, which won from the gift of the old Pedro Sertanejo, which enabled Oswaldinho do Acordeon to become a modern master of his instrument. It began with the obligatory “Asa Branca” (Luiz Gonzaga and Humberto Teixeira) and today performs with much primacy Astor Piazzola, John Lennon, Bach and Beethoven, besides our repertoire of Brazilian and Northeastern popular music. He is currently considered one of the greatest musicians in the country. He joined MPB through the Bendegó Group. From there, he made contact with Odair head of Poeta and Grupo Capote, Tom Zé, Morares Moreira, Baby and Pepeu, Fagner, Djavan, Renato Teixeira, among others. But according to Oswaldinho himself, it was with Dominguinhos that he got in touch with urbanized Northeastern music and foreign music of good quality. Seeking perfection, in 1976 met the Italian professor Dante D’Alonzo and began to study for good. Classical music studied for 13 years, having even been a student of Paulo Feolla, at the Santa Clara Conservatory. Perfectionist, Oswaldinho do Acordeon insists on always improving through several courses. With his busy schedule between trips and presentations, he takes classes wherever he is, even over the phone. The rare talent earned him a scholarship at the “Dante Conservatory of Milan”. Abroad, the chances of improvement are greater, because the instrument is quite widespread, “he explains. But the vibrant and passionate way of playing as a Brazilian, the European does not know. For this reason, in 1984, Oswaldinho do Acordeon, presented as an attraction in the “Festival of the World Championship of Accordion” and won the admiration of Portuguese, English, German, Swiss, Canadian, Japanese and American. Currently with 23 records recorded and releasing the 24th of his career, Oswaldinho certainly came to reaffirm the concept, which inserts him in the context of one of the best accordionists in the world. His resume records recordings with the main MPB stars, Elba Ramalho, Edson Cordeiro, Caetano Veloso, Jackson do Pandeiro, Lobão, Raul Seixas, Ney Matogrosso, Nara Leão, Milton Nascimento, Paul Simon, Manu Di Bango, Didier Lockwood and Cassiopeia , among others. He was able to participate in projects such as Pixinguinha, US TOP, Free Jazz Festival, Montreal Festival, Rock in Rio, Montreux Jazz Festival, Chateauvallon Jazz Festival – France, Juan Lês Piñs – France, Blue Note – NY, Ball Room NY, 500 years of discovery – and acoustic MTV by Rita Lee, as well as festivals and gatherings of the world’s greatest accordionists in several countries. Music is embedded into the festival and it magically makes two into one while we are dancing!